The Tucson Conquistadores, Inc. is a nonprofit corporation organized for the purpose of supporting youth amateur athletics primarily in Southern Arizona. Particular emphasis is on programs and activities serving disadvantaged and handicapped youth. The success of the Cologuard Classic, PGA TOUR Champions golf event, enables the Conquistadores to provide support in the form of financial assistance. This general summary of the Tucson Conquistadores’ contribution guidelines is for informational purposes only. The fact that a particular program or activity may not specifically be dealt with in the guidelines should not be taken as an indication we will not support it and should not necessarily discourage the submission of an application for assistance. Is it related to youth amateur athletic or outdoor activities? Is there a genuine financial need, which is unlikely to be satisfied by other sources? Will the contribution be an effective and efficient use of our resources? Is there a special service, opportunity or achievement involved? How will the contribution benefit our community? Age - Generally, we have restricted contributions to athletic and outdoor programs and activities involving amateur youth under the age of 21 unless disabilities or other extraordinary circumstances exist. Need - In most cases, we would prefer that our contributions supplement funds raised from other sources and not be relied upon as primary support. We are, as a rule, interested in information as to need including what other fundraising efforts have been undertaken and what other sources of assistance have been explored. Individual athletes – In general we do not fund an individual athlete. 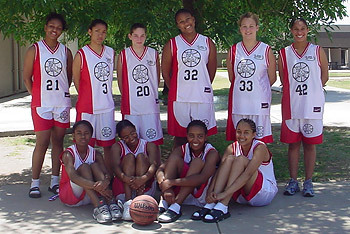 According to NCAA Compliance Regulations, a prospective “student-athlete” is a student who has started classes for the ninth grade; or, any student-athlete younger than in the ninth grade and receives financial support, gifts from an institution, organization can be declared ineligible for NCAA competition. We would never want to be responsible for an individual to be declared ineligible for NCAA or NJCCA as a result of our gift. If an individual athlete is part of a team that is traveling to a national qualified event, or is in need of equipment, or scholarships, etc., the team should be the one applying for funding consideration. Are for specific, capital-related or program needs and are not requests for general budget support of undefined purposes. Participation in the event or activity is the result of unique and extraordinary effort and accomplishment (with special consideration given to those with disabilities). Only one post season event per applicant will be considered. In the case of youth soccer, baseball, softball, football, basketball or other team competitions, support can be directed to the region or club for allocation based upon need, achievement, etc. Activities other than Youth Athletics - The Tucson Conquistadores are bound by their Articles of Incorporation stating that the purpose of this organization is to promote an interest in athletics among the youth. Therefore, we must conform to these Articles of Incorporation. The Tucson Conquistadores reviews funding requests from organizations, clubs and individuals and determines its Foundation contributions on a monthly basis. Requests must be submitted by on an Application for Funding form. The deadline for applications is the 24th of the month. The request will be reviewed and the applicant will be notified by mail around the 15th of the following month. As a rule, applications received after the 24th of the month will be held over until the following month's deadline. Applications are reviewed once a month. The funding process normally takes 4 - 6 weeks from the time an application is received, processed and reviewed for by our Funding Committee, and if recommended for funding, approved by our Board of Directors. If approved, the Conquistadores expect a written accounting of any funds advanced upon and the results achieved by the individual, team or organization. In the event the funding purpose is canceled or terminated, the grant must be returned in full, immediately. Approved funding for an individual, team or organization in a fiscal year does not guarantee future approvals and continued funding. Hundreds of deserving teams and organizations, and many individuals have received financial assistance from the Tucson Conquistadores since the group began in 1962. 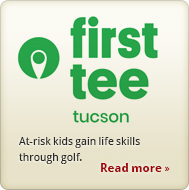 Key beneficiaries of the Conquistadores fund-raising efforts have been The First Tee of Tucson, Tucson and Pima County Junior Golf Programs, the Field of Dreams/Challenger Little League sports complex, Boys and Girls Clubs in Tucson, Sierra Vista and Nogales, Pima County Special Olympics, Tucson Urban League, Educational Enrichment Foundation and the YMCA.